You will take the square from the photo at the intermediate level. It will be used to create the most beautiful projects that you plan to make. 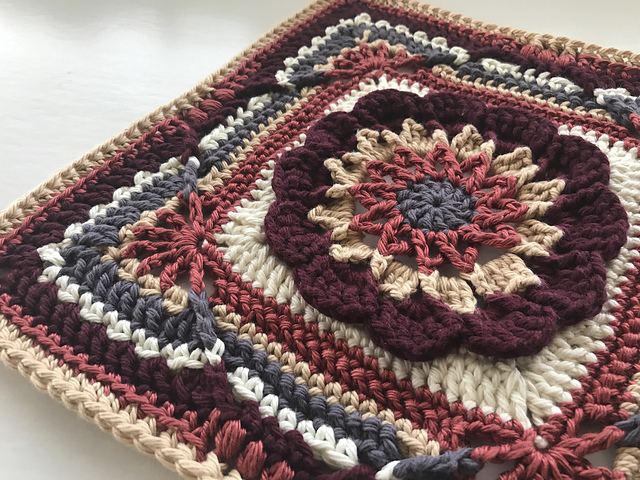 Tthis is a free pattern. you can make squares in any color you like. These squares are magical. They look great. They are in a standard size of 12″. The proposed yarn is the Hobby Lobby I Love This Cotton! 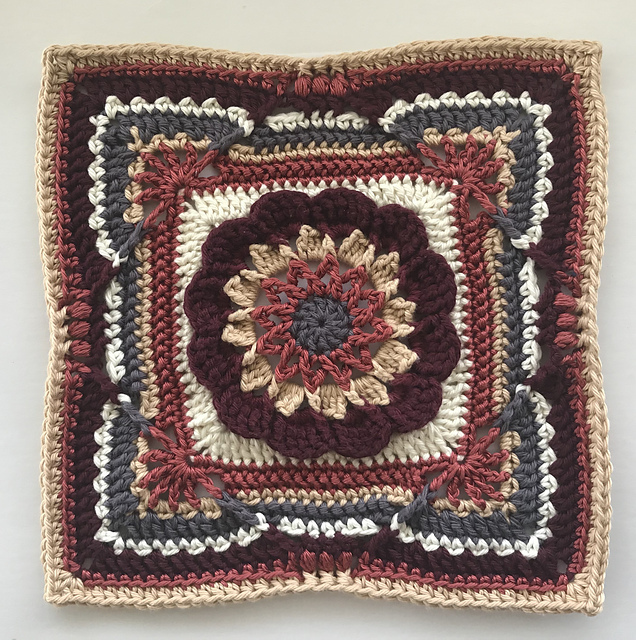 It has great shades that you can use for these squares. It is a free pattern. In the tutorial you will find information about the stitches and techniques that have been used.